“The Black Waters of Echo’s Pond” worth the wait! It really amazes me these days how certain movies are able to be made and get distributed even though they’re horrible and yet certain films, that are really good and original, can’t get a distribution deal to save its life! This was the case with Trick r Treat from 2007, a phenomenal Halloween-themed movie that took a good two years to see the light of day. It happened again just recently with the film The Black Waters of Echo’s Pond; a movie made in 2009 that just got released this month…four years later! I had no idea what to expect from this film, though the trailers certainly peaked my interest. When I finally heard it was coming out I immediately ordered a copy on Amazon and watched it the night of its official release. All I can say is that this movie is a really good time. First off the cast, with the exception of the lead male (Arcadiy Golubovich), are all convincing in their roles and you connect to them on many levels. They are not the usual one-dimensional characters that these movies usually have. They are all likable in their own way but, at the same time, all have secrets. 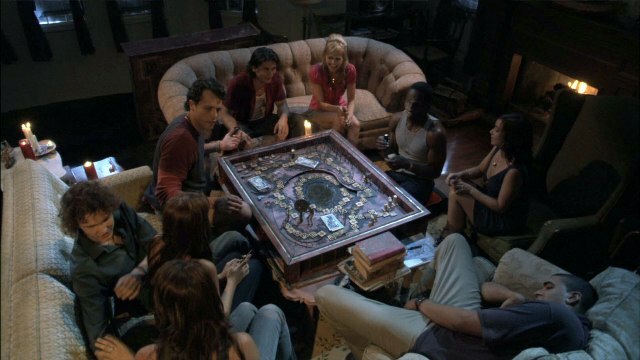 These secrets are revealed by playing a board game they accidentally find within the cabin they are staying at…a game with supernatural powers. The story is fast paced and the special effects are top notch. The creators’ of the actual game should be commended as it’s very cool to watch being played and is definitely a game I would buy (if commercially available and not supernaturally charged). It was nice to see both Elise and Electra Avellan, aka the Crazy Babysitter Twins, in a non-Robert Rodriguez role and they definitely shine here. 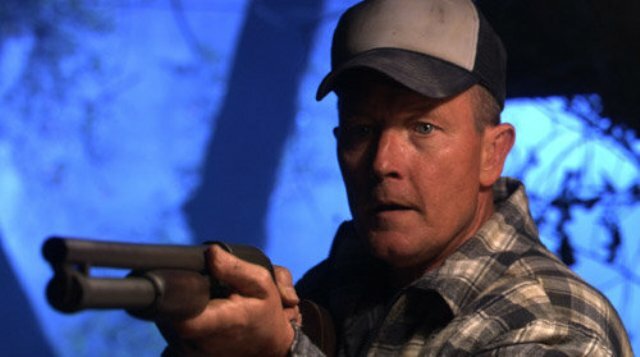 Danielle Harris was much better here than in her HATCHET II and III appearances and it was also nice to see Robert Patrick in a fun and creepy role. You certainly can’t go into a movie like this taking it too seriously and as long as you don’t, you will enjoy it. This film, along with Trick r Treat, are worthy of annual viewings every Halloween season! Order your copy HERE! This entry was posted in DVD/Blu-Ray Review and tagged Amazon, Arcadiy Golubovich, Crazy Babysitter Twins, Danielle Harris, Elise and Electra Avellan, Hatchet II, Hatchet III, Robert Patrick, ROBERT RODRIGUEZ, The Black Waters of Echo's Pond, Trick r Treat. Bookmark the permalink.